With our Smart Board second graders have been doing many things! We especially love using it during math. Every morning we use it for the “Number of the Day” where we do different addition, subtraction, and base ten activities with the same number. 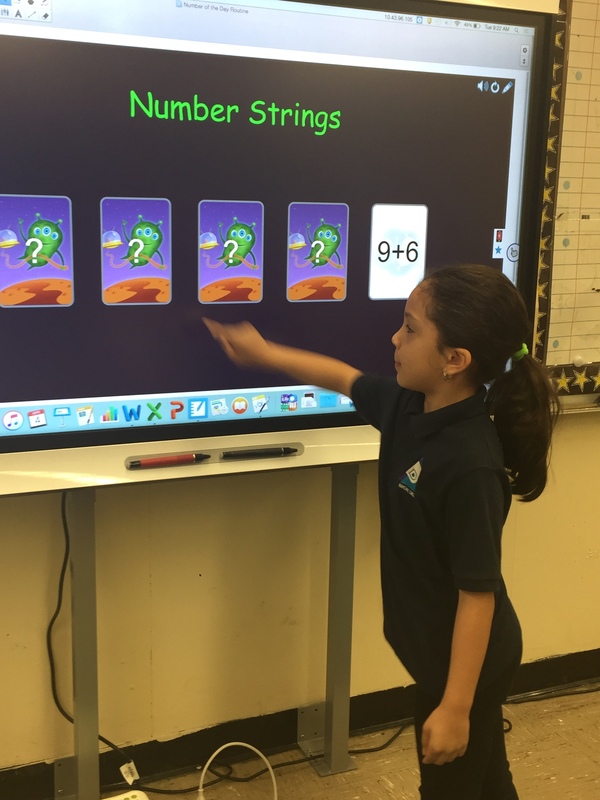 During math workshop we are using the Smart Board to interactively problem solve and show our different addition and subtraction strategies. Previous Entry:Off We Go! First Grade Reading Adventures!